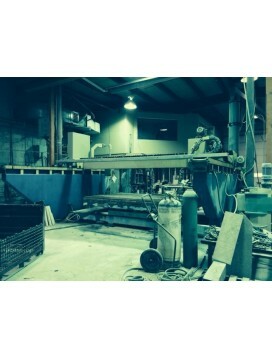 2007 Sasso Meccanica Flying Cut Bridge Saw 20 HP Main Motor Max Blade Size: 24″ Working Cut: 137.8″ x 137.8″ Vertical Stroke: 12.6″ Approximate Overall Footprint: 18.37ft. x 14.76ft. This machine is highly versatile and can be operated easily for the.. THIS IS A NEW MACHINE CUSTOMER HAS AN EXTRA ONE. -Main Motor Direct Drive - 20 HP (220V 3 phase 60Amp. 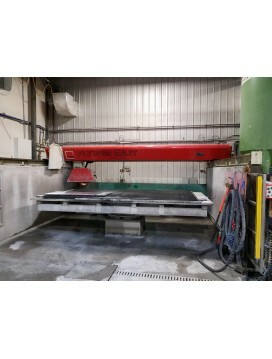 )+/- 5% regulated 30 kW-Blade Size 16" - 24"-Cut Length 126" x 78-Engine Speed 1450RPM Cutting speed variable-Production Rate 10í in 3cm (1 1/4..